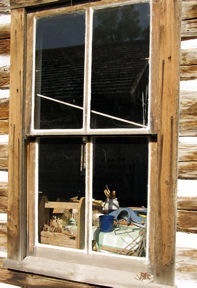 While visiting Montana’s Bannack State Park I started noticing the characteristics of windows in the deserted 19th-century buildings. They varied from artistic to simplistic. 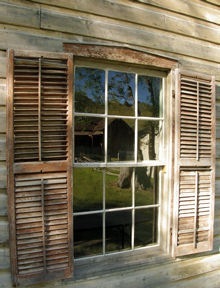 Some of the panes were the original wavy glass while others were 21st-century replacements. 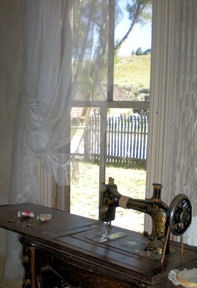 Whether peeking into a cabin at a potpourri of tools and paraphernalia deserted decades ago or gazing out while seated at an aged treadle sewing machine the windows seemed to frame Bannack’s past and present. Then I became intrigued with how the windows reflected the scenes before them – swaying tree branches, the crowd gathered in front of Hotel Meade or the upstanding Masonic Lodge / Schoolhouse. 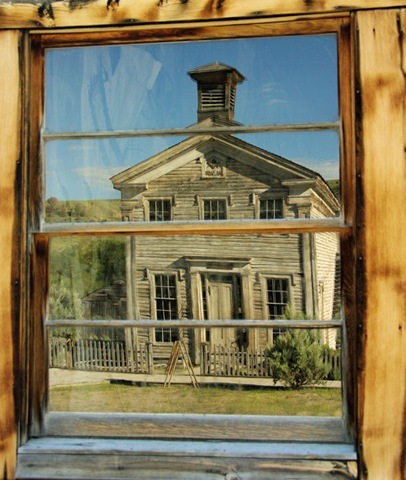 Observing and photographing the windows of Bannack added depth and perspective to out visit to Montana’s past. When You Go: Bannack State Park is located 26 miles southwest of Dillon, Montana. From I-15 exit #59 head west on Highway 278 for 20 miles. Turn south on the paved Bannack Road, follow for four miles. Turn left onto the graveled park entrance road. Well placed signs point the way.